Introducing a new predator species can have catastrophic consequences. 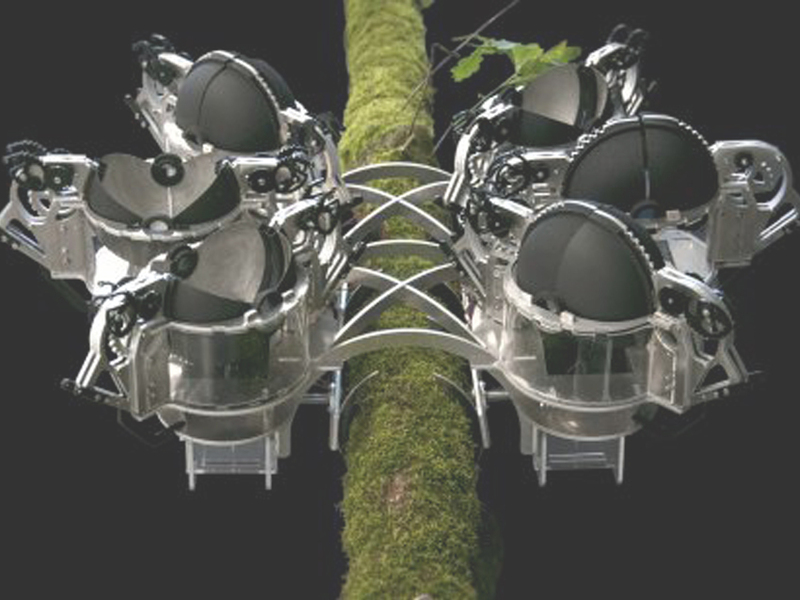 The Dionae Mechanica Muscipula is a robotic predator species that is designed to lower the number of Thaumetopoea processionea: a moth whose caterpillars affect the condition and health of oak trees. Once its prey gets nearby the robot’s luminous beak, it opens and catches the moth. The moths are stored in a reservoir and will spread their pheromones, which attracts even more preys to the robot. Once digested by the robot, the insects are turned into energy by Micro Fuel Cells. A Diverse Monoculture questions our tendency and urge to be in control of nature’s ways.